Below is a shot of a recent thread qualification we did before releasing a batch of our brass BSP fittings. 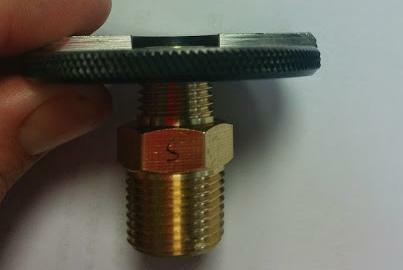 As you can see we rejected the below fittings because they did not qualify in the go/no-go area of the thread gauge. Male thread did not reach the go/no-go area of the gauge and was rejected. Thread went passed the go/no-go area and was rejected.